With news of Horus’s treachery spreading across the galaxy, the Great Crusade grinds to a halt as the primarchs and their Legions decide where their loyalty lies – with the Emperor, or with the rebel Warmaster. The Dark Angels, too, face a time of testing, both among the stars and on their home world Caliban. Luther, once Lion El’Jonson’s trusted second-in-command, now languishes as an exile in all but name while his master struggles to thwart the traitors’ advance upon the forge world Diamat. But an ancient evil gathers its strength beneath the surface of Caliban, and the First Legion will soon be thrust into a deadly conflict where all that they know will be cast into doubt. 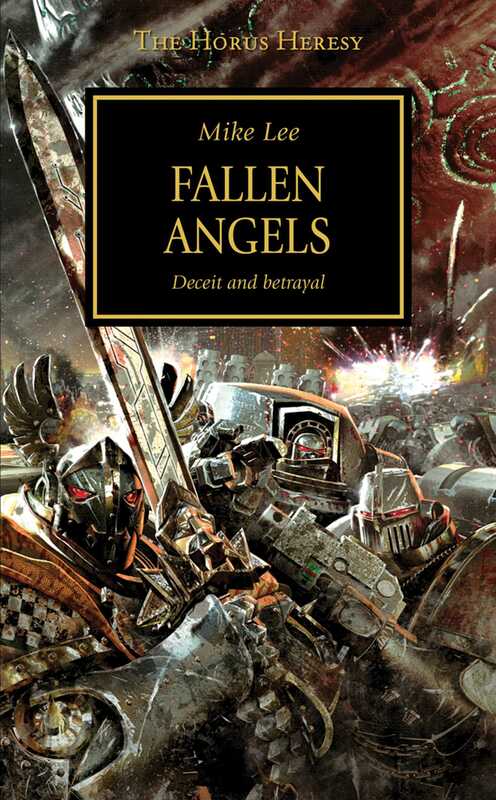 Mike Lee's credits for Black Library include the Horus Heresy novel Fallen Angels, the Time of Legends trilogy The Rise of Nagash and the Space Marine Battles novella Traitor's Gorge. Together with Dan Abnett, he wrote the five-volume Malus Darkblade series. An avid wargamer and devoted fan of pulp adventure, Mike lives in the United States.